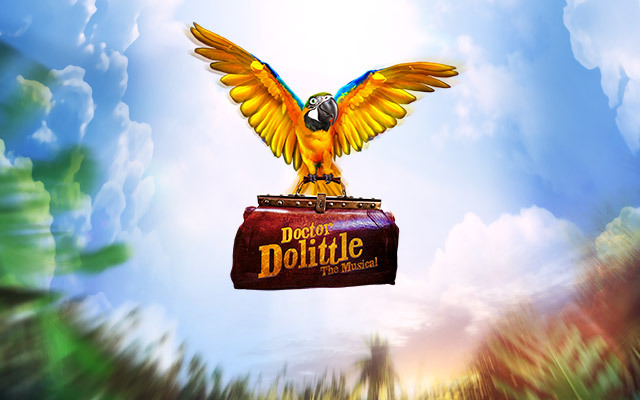 Music & Lyrics in association with Churchill Theatre Bromley present Doctor Dolittle. Music & Lyrics in association with Churchill Theatre Bromley present Doctor Dolittle. You’ve never seen anything like it! Doctor Dolittle returns to the stage in Leslie Bricusse’s acclaimed family musical. Based on the popular 1967 film with Rex Harrison, this stage version has music, book and lyrics by Leslie Bricusse. From the producers of Chitty Chitty Bang Bang, this production promises stunning visual puppetry and fun for all the family. Book, Music and Lyrics by LESLIE BRICUSSE. Based on the Doctor Dolittle stories by Hugh Lofting and the Twentieth Century Fox Film. Performed by arrangement with Music Theatre International (Europe) Ltd.